The wedding day is a massive event with so much time, effort and planning going into every detail. One thing that shouldn't be stressful is the bridesmaids dresses. 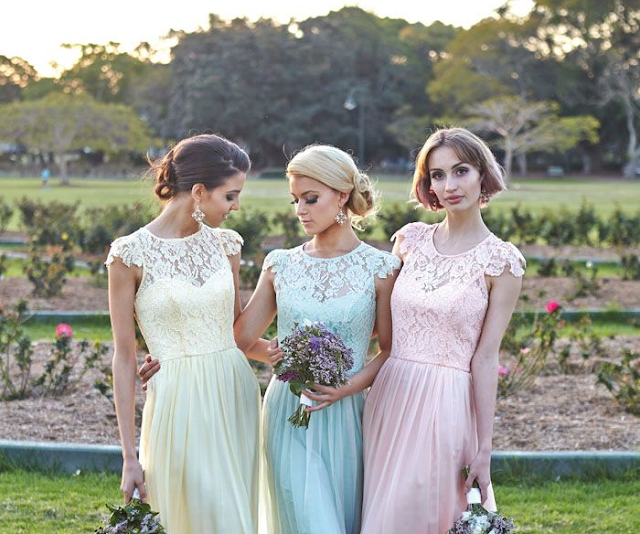 Aisle Style makes it easy with some gorgeous classic dresses that are just beautiful. Floor length, knee length, simple to classic, you are for sure going to find the perfect dresses for your beautiful bridesmaids. I have chosen my top 5 dresses and why I think they're perfect! Even if you're not planning your wedding or a bridesmaid, there are also some gorgeous wedding party dresses too which you can find here, so there's something for every wedding attendee! There's even breath taking prom dresses which you can find here, and even brides dresses too which are here. This is super classy and just gorgeous. For anyone that loves simplicity and elegance this is perfect. It's feminine and modern and I can see it teamed up with some ice white flowers. It's a dress any bridesmaid would feel divine in. You can find the dress here at an affordable £79.99. If you're looking for a elegant dress with a twist, this is perfect. With it's Grecian feel this dress would look effortless with a beautiful necklace and a casual up do. Sophisticated and effortless! This little number is incredible at £65.99 here, and wont break the bank. I honestly think this dress is to die for. This one jumped out at me right away not only because of the beautiful structure of the dress but by how delicate it looked. The blush pink looks gorgeous on any skin tone and the length is classy yet playful. 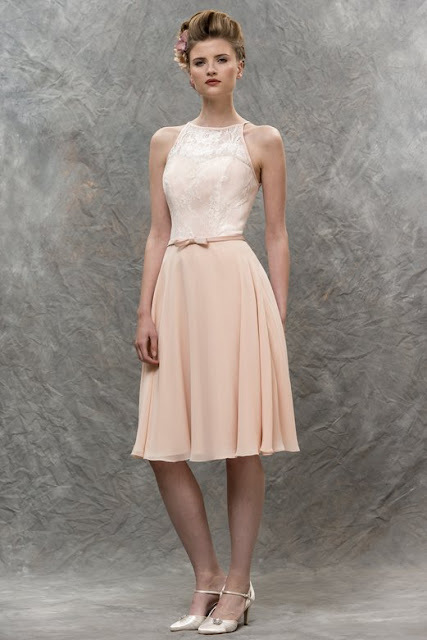 The lace detailing effortlessly fades around the waist and that's something I really love. Again the price of this is unbelievable at £75.99, and you can find it here. The beautiful thing about this dress is the colour selection - You are bound to find the correct colour to suit your wedding theme! I love that there are darker options which is great for winter weddings, and this emerald shade pictured above is my favourite of them all. The shape of the dress is classy, timeless and a very popular style so it's ideal for any wedding - and the bridesmaids will love them! You can find it here for £99.99. I picked this one up because of the vintage appeal. Vintage weddings are becoming more and more popular and this year I've been to my fair share of vintage style weddings. I felt that not only will this look beautiful on bridesmaids, but felt it was also a great style for a wedding guest, I love the bow detail and the bodice is beautiful. This dress is £60.99 and you can find it here. Overall, there are loads of dresses in so many different styles to choose from at Aisle Style that I'm sure you'll find a dress to suit even the fussiest bridesmaid! There's so many classic and modern styles in an array of colours! You can check the rest of their beautiful 2016 here, and you can even filter the dresses into dress shapes to find the most perfect dress. You can also shop prom dresses, wedding party dresses and the all important wedding dress. Aisle Style is the to go to website for all things wedding! Thank you so much for reading, and I hope you find the perfect bridesmaids dress for your wedding! *Sponsored post - All content is written by me.